In this episode we address the Jehovah’s Witnesses perversion of John 1:1 and some random things. All Scripture references in the following post are taken from the NWT Translation of the Bible. This is intended for reaching out to Jehovah’s Witnesses. 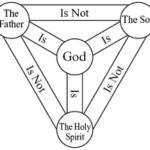 This post is not intended as a full defense of the Triune nature of God as that defense would be done with a more accurate translation of the Bible. 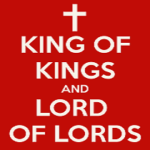 In the book of Deuteronomy 6:4 we find God’s revelation which says “Jehovah our God is one Jehovah”. Also in the book of Isaiah 43:11 we find another revelation which says “I am Jehovah, and besides me there is no savior”. With these verses in mind, we can trust God’s promise that He is the only one God (Jehovah) who is our only Savior. In this podcast we continue to examine the Jehovah’s Witness cult and equip Christian’s to speak to them and give them the Truth of the Gospel. We also examine Colossians 1:12-20 and provide a defense of that text for the deity of Christ. 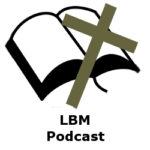 In the last episode of the podcast (LBM Podcast 0004) we covered a false prophecy of the Watch Tower Bible and Tract Society. I am going to outline this false prophecy in this post and provide the documentation so you can use this in your discussions with JWs. 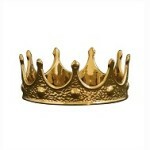 In Deuteronomy 18:20-22 God gives us the requirements for a prophet that is from Him. If the prophet makes a prediction about anything that does not come to pass he is a false prophet and should not be trusted. 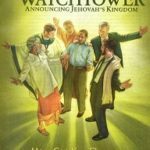 In this podcast we examine the Jehovah’s Witness cult and equip Christian’s to speak to them and give them the Truth of the Gospel.